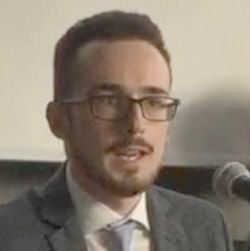 He is currently a PhD candidate at the Department of Political Science and International Studies of the University of Birmingham (UK), where he researches on Russia and international security. Since 2016, Nicolò has been a regular writer at East Journal, an Italian magazine specialised on Eastern Europe and the post-Soviet space. He is also foreign correspondent for Milan’s Radio Panda 96.3. In 2018 he served as an Assistant Desk Officer (trainee) dealing with the Special relationship with Ukraine at NATO Supreme Headquarters Allied Powers Europe (SHAPE)..
Nicolò was also a researcher with Prague’s Institute of International Relations (IIR), an analyst at the Osservatorio di Politica Internazionale (OPI), as well as an assistant (trainee) at the Italian Embassy in Estonia.